CORAL project « Constructive Offshore Robotics ALliance » aims at developing an open sea AUV for sea floor exploration and inspection down to 6000m depth (20,000 feet), as part of the asset renewal program for the French oceanographic research fleet. CORAL is a 5 280 M€ project co-funded during 5 years by the French Institute for Marine Exploration (Ifremer), the Provence-Alpes-Côte d'Azur Region and the European Fund for Regional Development (FEDER). 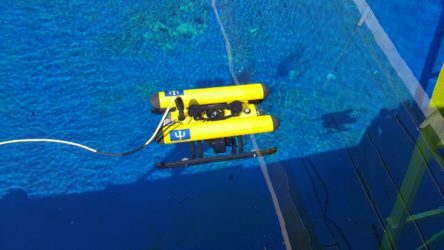 One component of the project, under the lead of Ifremer and the University of Toulon, consists in the implementation of an underwater robotics plateform dedicated to academic and research activities. The plateform will be used as a support for the training courses of the University of Toulon and to PHDs and researchers of the 2 project partners. 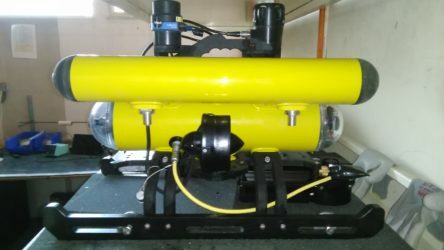 In the framework of this component, Ifremer entrusted Subsea Tech with the design and fabrication of a modular mini-ROV equipped with various sensors (sonars, DVL, USBL positioning system) to be used as an academic tool by the underwater robotics plateform. 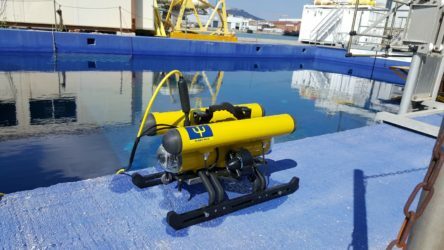 The proposed solution was designed on the basis of the Guardian mini-ROV, which has been manufactured for almost 10 years by Subsea Tech and sold over the 5 continents. To address the specific requirements of the project, the Guardian structure was modified and adaptated to increase the payload capacity. Besides, Subsea Tech developed a more intuitive software architecture (API) using ROS, thus offering a tool box for the students and researcher to develop new features such as tracking, dynamic positioning, sonar image treatment, obstacle avoidance, etc. Ifremer relied on Subsea Tech's proven experience for design and fabrication of mini-ROVs as well as on its strong innovation capacity for bespoke underwater inspection solutions.